NEW ORLEANS (WVUE) -The City of New Orleans wants to spread the wealth from hotel tax funding. The Bureau of Governmental Research will share its findings Tuesday on how the tax money could be used to improve city services. Currently, the lions share of the revenue from the city’s hotel taxes go towards tourism-based groups like the Superdome and The Convention Center. According to the BGR report, The Convention Center is currently accumulating a $235 million dollar reserve fund. BGR also found that New Orleans lags far behind other cities, even in Louisiana, when it comes to spending hotel tax revenues on things like drainage, street improvements, or extra police. Cities like Shreveport send 18 percent of it’s hotel tax revenues to municipal needs while New Orleans uses only 9.5 percent. 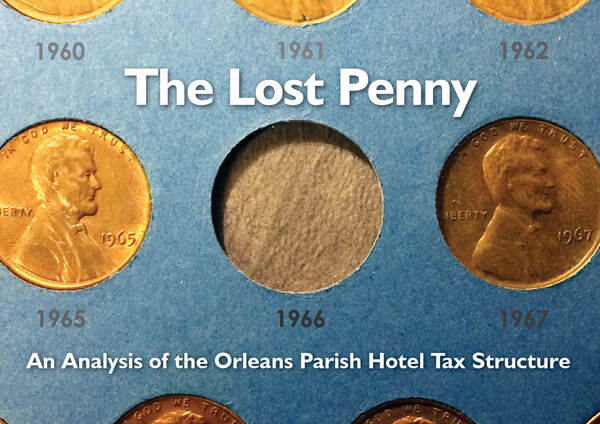 The report also recommends that New Orleans should reinstate a one percent tax on hotel rooms, which was suspended in 1966 so that the city could construct the Superdome. Former city leaders have also weighed in on this issue with some saying the surplus should be distributed evenly. The Bureau of Governmental Research says restoring the one percent sales tax on hotel rooms would give the city an extra $12.3 million a year. They will give a presentation before members of council Tuesday morning.